Speaking at a summit hosted by Travis Perkins, London’s Deputy Mayor for Planning encouraged London councils and developers to “build more mixed use developments” and used the example of the merchant’s redeveloped St. Pancras branch – which combines 48,330 sq ft of “employment land” as a fully functioning builders’ merchant on the ground floor, with housing for 572 people above – to show how both housing and commercial needs can be addressed concurrently. The merchant group hosted the summit to discuss and promote the mixed use model in the capital. The event brought together over one hundred councillors and planning officials representing the majority of London Boroughs, alongside leading property developers. Presentations showcased how mixed use developments can viably incorporate residential space and employment land. Speeches from the expert panel highlighted how the capital’s current planning environment and the perceptions of the property sector have shifted to favour innovative new multi-purpose models. For example, in his keynote speech, Jules Pipe, the Deputy Mayor for Planning, encouraged attendees to build on the recommendations set out in the Mayor’s draft London Plan. The Mayor’s draft 2017 London Plan recognised mixed use developments as an effective way of protecting the limited logistics space in the ‘Central Activity Zone’ and called on councils to “allocate an appropriate range and number of sites that are suitable for residential and mixed use development” . Mixed use ensures that vital services are available at the heart of communities, while also providing valuable employment prospects for the local workforce. This refers to research which has revealed that essential services (such as builders’ merchants) have been increasingly under threat of being pushed out of the capital. Industrial land, on which such essential services are often sited, has declined across the capital by 34% since 2001, according to SEGRO. The Greater London Authority’s recent Industrial Land Demand Report found it has fallen at a rate of 100 hectares annually since 2010. Jules Pipe said: “The policies on mixed use developments set out in the Draft London Plan give councils the ability to take advantage of this innovative solution. The onus now lies on councils and developers to work together to identify eligible sites for these schemes. 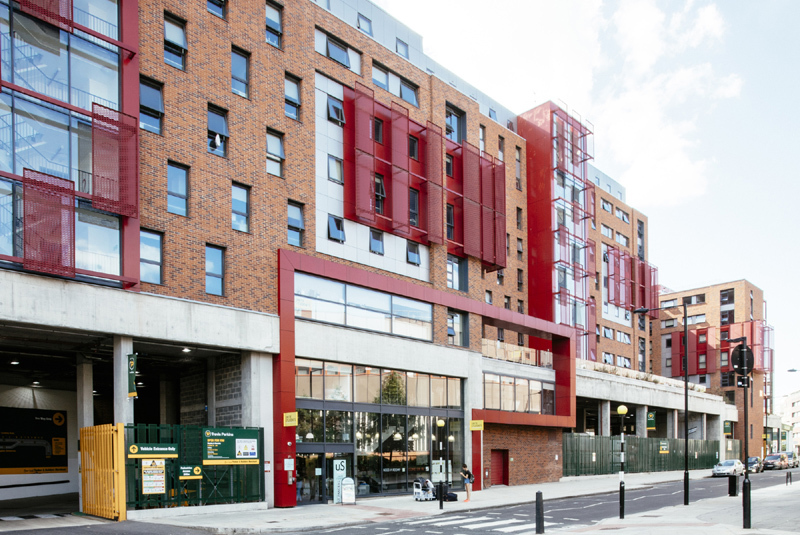 City Hall is firmly committed to supporting councils and their drive to increase the use of mixed use models in their boroughs. Could such projects be considered for merchant businesses up and down the country as a way of securing future industrial use and providing much-needed housing? Do you know of any other such innovative mixed use (re)developments involving merchant firms? Let us know your thoughts.